Cargo is located at the end of the Union canal as part of Edinburgh’s Canal waterfront development. 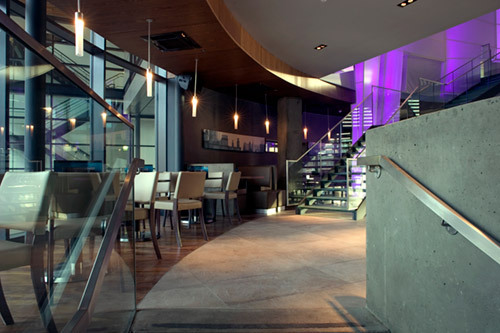 RMP provided design advice for this new bar/restaurant, located in the midst of new housing. The design of the façade incorporated high performance glazing and acoustic lobbies to control noise breakout. RMP provided advice on the sound insulation of the internal structure and surface finishes to ensure a great environment for customers.